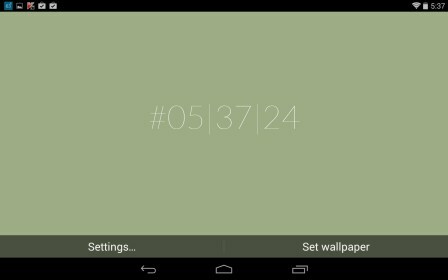 HexaTime – Soft for Android 2018 – Free download. HexaTime – A minimalist live wallpaper clock. 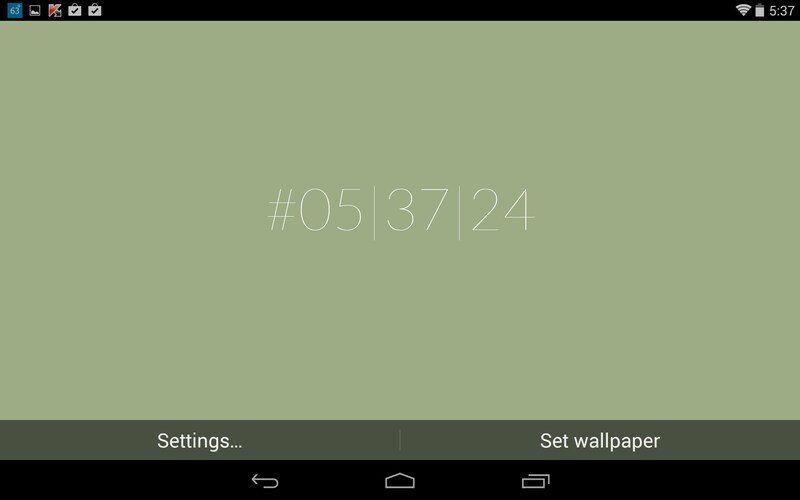 HexaTime for Android is an ultra-minimalist clock and live wallpaper. Keep a live view of the time on your desktop at all times. 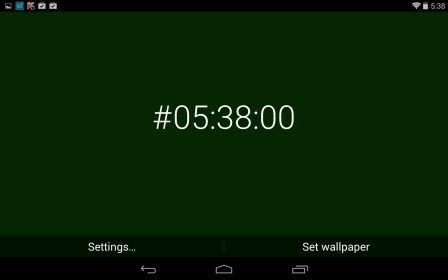 HexaTime is a no-frills desktop clock for your gizmo. 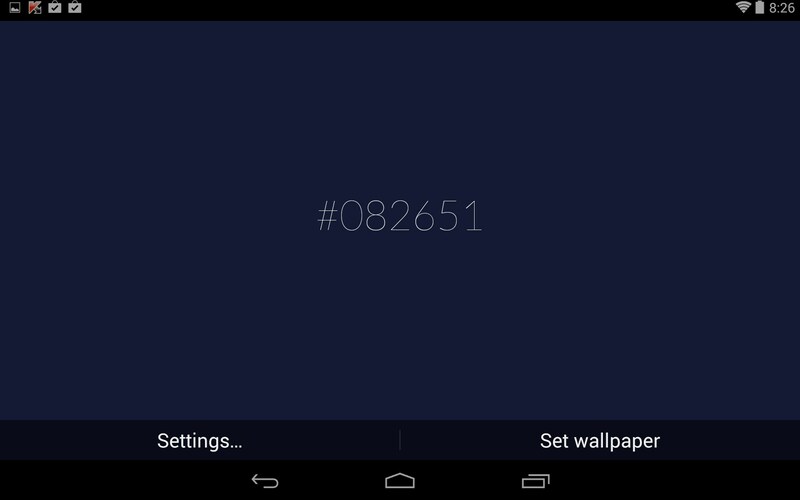 The interface is super pared down, displaying only a sequence of numbers in a very slick and chic fashion. The background automatically cycles through a limited number of colors so your desktop will continually have a new look. The setup menus offer some very basic tweaks, like a small selection of alternate fonts, and a choice of separators to punctuate the date and time. Some of the brighter colors make the thinner fonts hard to read. The settings interface was slow and sluggish at times, particularly when backing out of the settings because it was constantly redrawing the app’s logo which quickly became tedious. 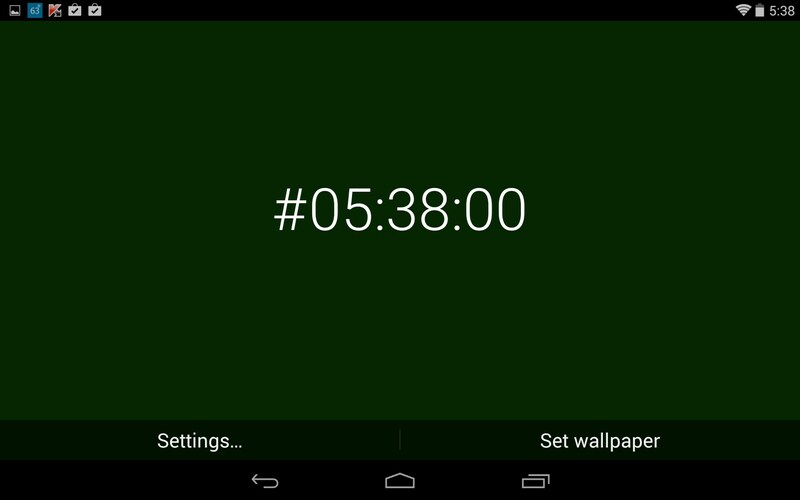 HexaTime looks good, but I already have a dedicated clock on the upper right, so this app is kinda redundant for me.